A newspaper illustration showed First Lady Ida McKinley as an invalid in a wheelchair. 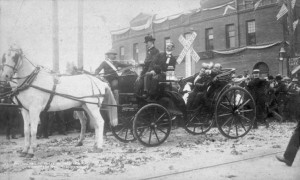 In May of 1901, the President and Mrs. McKinley were making an historic transcontinental tour of the United States by train, progressing south from Washington to New Orleans and then to the western states, including the First Lady making a brief dash across the border to attend a breakfast in Mexico in her honor, while her husband attended ceremonies in El Paso, Texas. 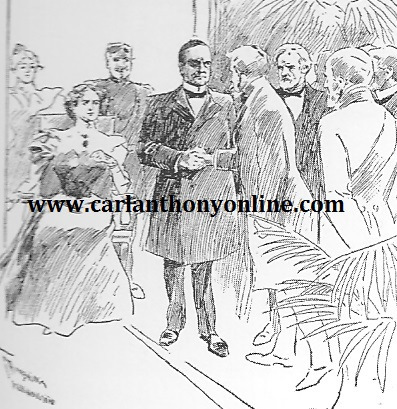 All along the way, Ida McKinley heartily greeted well-wishing citizens, but in the process the repeated handshake clasping against the diamond rings she wore on her fingers, left small cuts. 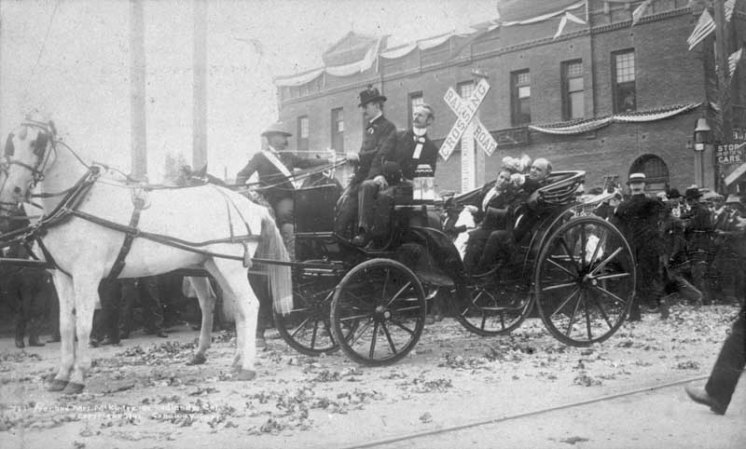 As the train proceeded through the desert to the west coast, the dust, sand and silt kicked up by the rail cars inevitably blew through the presidential car, covering everything from the furnishings to the cut hand of the First Lady. By the time a finger infection which was first detected in Los Angeles developed into high fever, blood poisoning and near-death upon their reaching the Monterey Peninsula, a sudden change in the President’s public schedule (permitting him to remain with her) necessitated public disclosure of the reason. Determining that the First Lady’s grave condition could best be treated in the nearby city of San Francisco, the traveling White House moved with her to that nearby city, issuing two bulletins a day to keep the nation informed of her condition. A month later, government medical consultants who conducted further blood tests and physical examinations on her provided the media with the startling speculation that her heart function may have been affected; the White House made no effort to deny or censor this. 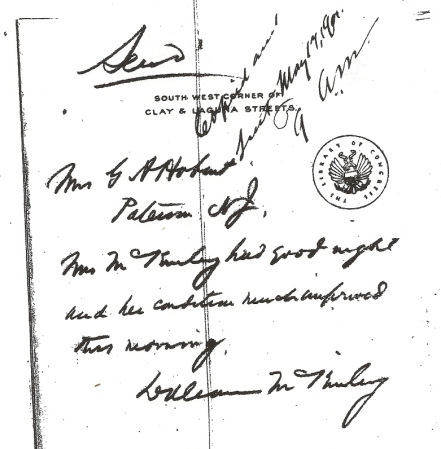 And yet, pre-dating and simultaneous to all this was the McKinley White House policy of refusing to acknowledge, clarify or elaborate the repeated news reports of her vaguely described “nervous illness,” with symptoms of “fainting.” We know now that this was because the nervous system dysfunction in question was epilepsy. During the McKinley Administration there were great strides in the expanding professional field of neurology which established seizure disorder to be a brain and nervous system condition and not the result of a mood disorder. The general public, however, still held fast to the primitive belief that epilepsy was a form of insanity. Fearing the political repercussion of such association with the First Lady, the President was iron-clad in refusing to even acknowledge her seizures when they were occurring. 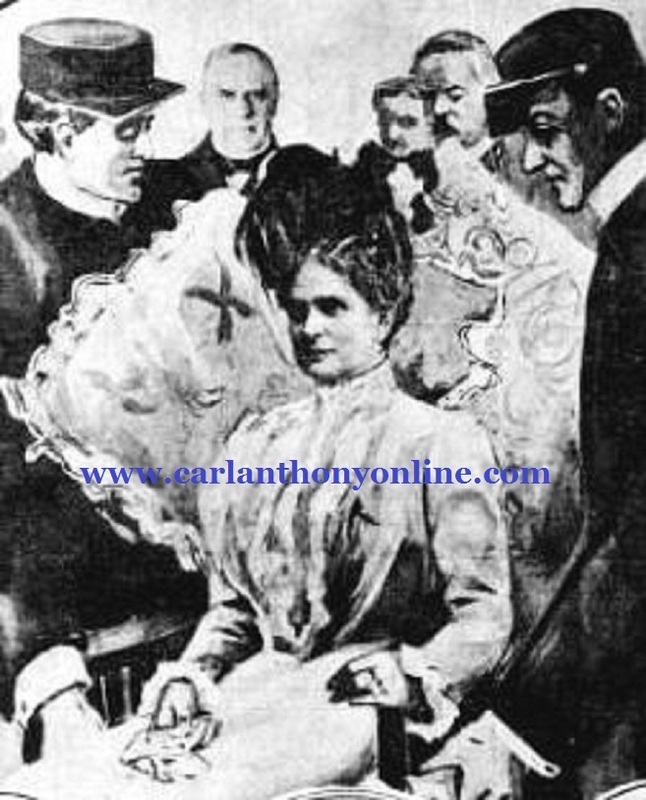 At the least, the public knew something was wrong with Ida McKinley, simply by the fact that she always sat during receiving lines while her husband stood alongside her. Might the public understanding of epilepsy have advanced more rapidly had the McKinley Administration disclosed the truth about the First Lady’s condition? Most likely. Was it the responsibility of the McKinleys to do so? Despite their public roles and care by federally-salaried physicians the couple exercised their right to make a personal choice on how much they chose to disclose on the matter, determining to do so only when the First Lady’s health had a potential impact on the President’s ability to function. 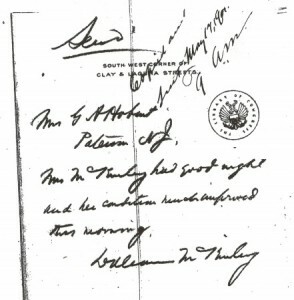 Of course, there were many situations when it could be argued that, unlike the feared death of McKinley’s wife that a health condition or medical crisis of a presidential spouse did not affect a President and his performance and thus did not qualify as news the public had a right to know. While it was saddening for President Theodore Roosevelt when his wife Edith Roosevelt suffered a miscarriage while she was First Lady, this information was not learned until her biography was published some four eight decades after the fact. Sometimes, a halfway measure has also been employed. 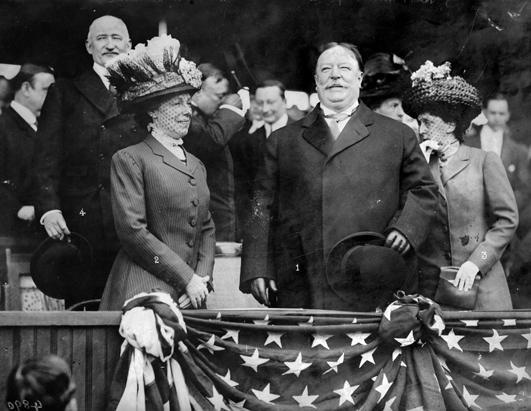 In 1909, for example, following her suffering of a stroke, First Lady Nellie Taft lost the ability to speak and thus cancelled all her public appearances. For months she struggled to learn again how to speak, her sisters and daughter aiding in social duties. By her absence, the press and the public knew something was wrong. The White House released a degree of what was truthful facts about her condition, but did not make all of it publicly-known, including the fact that she had lost but was regaining her power of speech. One is whether the First Lady in question is seeking medical care at the expense of public funds: in almost all instances this is the case, presidential family members being given such care by army and navy surgeons and physicians of high rank and skill. 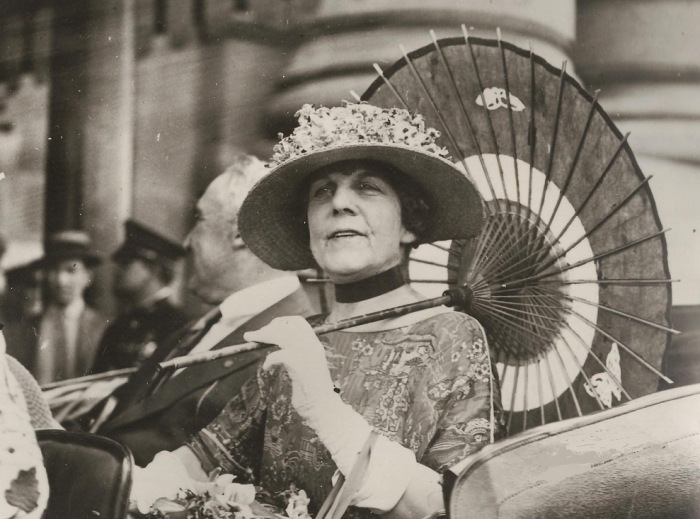 By the early twentieth century, there seemed to be a precedent set that determined the public’s right to know about the health of a First Lady. The decision had come to be truly based on that one elusive and subjective question: how is the President’s ability to fulfill his constitutionally-mandated duty being impeded by matters involving the health condition of a spouse? 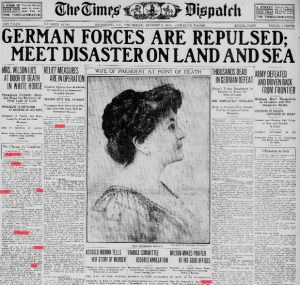 We know now, for example, that the kidney disease which ultimately killed Ellen Wilson just a year and a half into her tenure as First Lady, deeply distracted President Wilson just as war was breaking out in Europe. Following her August 1914 death in the White House, Wilson sunk into such a severe depression that his physician even feared he might become suicidal. Yet it was not until days before Mrs. Wilson died that the media and thus the public first learned the full story on her terminal condition. This could not be blamed on the President or his daughters but rather the First Lady herself. While not concerned about public knowledge of her condition, she asked her physician to not inform her family of just how desperate her condition truly was until the last possible minute, hoping to spare them a prolonged anguish over her. Of course, it had the effect of also being able to honestly withhold the information from the media and public. In the Jazz Age, Florence Harding wanted the public to be provided with the full details about the kidney dysfunction – but only when it reached the point of nearly killing her in September of 1922. For several days, as the First Lady’s life hung in the balance, the entire country was able to follow her condition with the release of detailed medical bulletins, which included explicit physical descriptions. This sort of policy when it comes to First Ladies and their health might not be the full truth, but it is better than no truth at all. 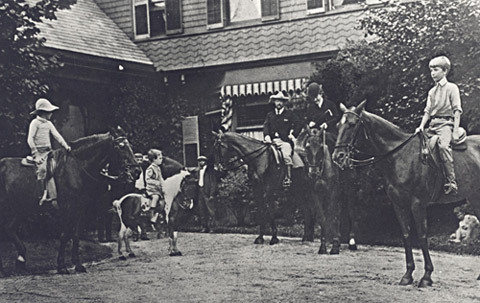 As the century progressed along with medical science and the new and emerging forms of technology, from radio to sound newsreels to television, however, there were a number of First Ladies with either chronic health conditions or medical care that was unreported, denied or downplayed by the White House. Grace Coolidge’s heart palpitations went entirely unreported in the media as she neared the end of her tenure, although there were reports that President Coolidge’s decision not to seek re-election in 1928 may have been out of concern for his wife’s apparently increased tiredness. Were it not for a passing reference in a private letter to a friend about her doctor ordering her to radically reduce her intake of caffeine from coffee consumption, none outside of the family would have known. 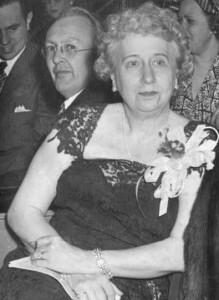 Similarly, when Bess Truman was found to be suffering from high-blood pressure, outside of her family it was only the White House kitchen staff that might have suspected this as the reason for the sudden order of low-sodium meals. It was never information that reached the public, even by rumor. Then again, Mrs. Truman managed it carefully, living with the condition until her death at age 97 years old and it never affected the President’s ability to perform his duties. 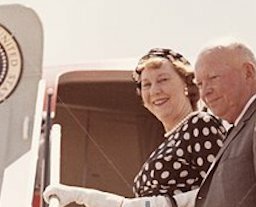 In August of 1957, Mamie Eisenhower made an annual five-day summer visit to her mother in Denver, Colorado, Unlike previous times, however, she stayed in the city’s Brown Hotel. The big event of her time there was her commitment to speak at the dedication of a local park named in her honor. The First Lady appeared at the ceremony, but left those gathered disappointed by simply making a few remarks and then taking her leave. Her brief appearance at the park proved to be only one of two times she left her hotel suite, a schedule very much unlike her previous visits home. 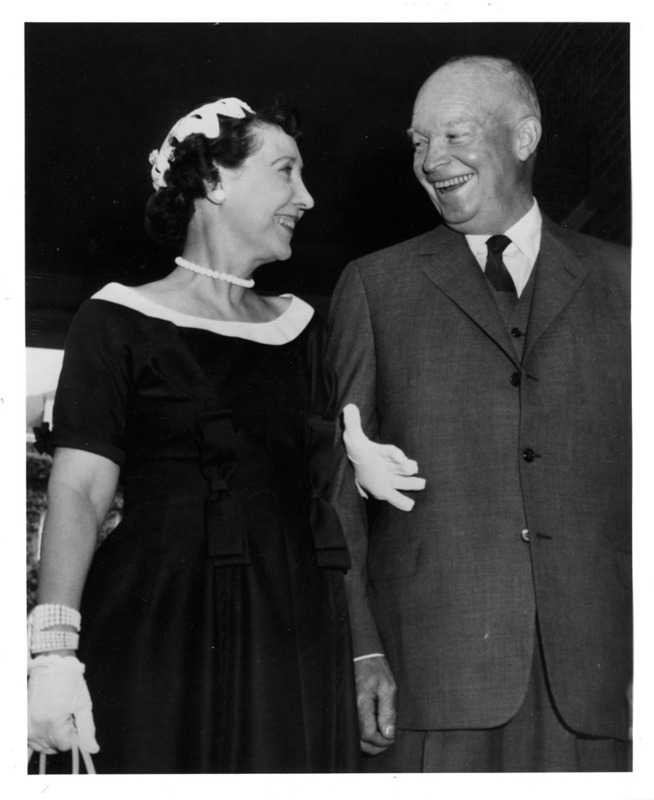 President Eisenhower had not joined her for the trip, but the White House physician Howard Snyder had. That raised some suspicions among the local press corps. It was soon learned that shortly before, he had also accompanied Mamie Eisenhower to Walter Reed Hospital in Washington, D.C. and stood watching as an army gynecologist performed a two-hour hysterectomy on the First Lady. After the surgery she recovered in the presidential suite, visited by the President eight hours later. It illustrated that, just as the technology of media or the evolution of medical information or the effect on a president’s ability to carry out his duties, the societal perceptions of womanhood was just as powerful a factor in determining what the public is told about the health of First Ladies.